Can I Buy CBD Products from Amazon? 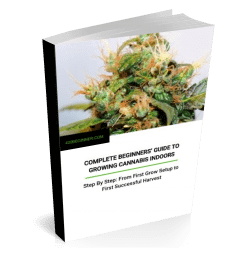 When you’re looking for a grow light to nurture your indoor growing cannabis, there are certain features to look out for to make sure you’re getting a high quality product. The new HyberGrow 1500W Full Spectrum LED grow light rocks the latest SMD chip technology. It’s quiet, it’s efficient, it runs cool. And it comes from a reliable manufacturer. In short, it meets all the requirements to be considered up there with the best 1500W LED grow lights available. 1.3 What is PAR and why is it important? 1.4 How is PAR measured? 1.5 What are lumens? And do they really matter? One of the first things you need to look for when purchasing a grow light is the reputation of the manufacturer. HyberGrow are not massively well known (yet) but take their reputation very seriously and consider it one of their main brand values. To ensure and maintain this great reputation they work with real growers to produce professional lights to an impeccable build quality. They also offer returns and refunds should you find any flaws. Have a look around online and you’ll find multiple positive reviews from satisfied growers with healthy and happy plants. Their customer reviews on Amazon are excellent. The material used in the casing is another important thing to look out for when deciding on an LED grow light. Certain materials will aid in the efficiency of the light and help to keep it from overheating. 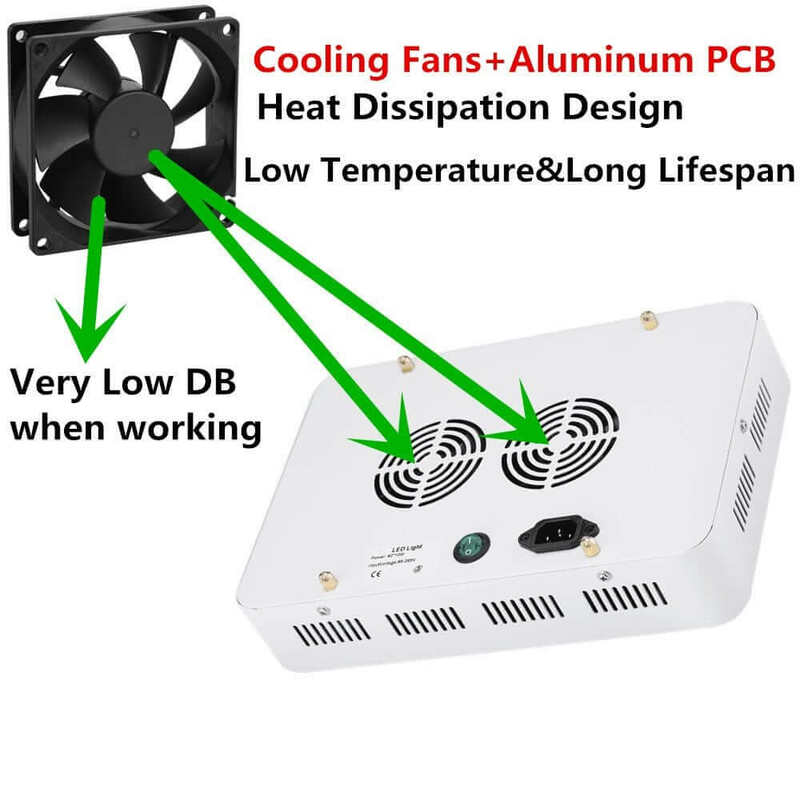 That’s why the Hyber Grow 1500w is housed in an aluminum alloy casing with built in UL certified fans and cooling holes in every directions. The whole unit emits no higher than 131 degrees Fahrenheit, ensuring the protection of your precious plants. And naturally the fans are designed to run quietly. Furthermore, you’ll find that even though the light is affordable, no corners have been cut in build quality. It’s a solid, well-constructed unit. But not bulky. The dimensions are 15.76 by 8.35 by 2.36 inches and it weighs only 10 pounds. What is PAR and why is it important? The type of light your plants will be getting is one of the most important features to consider when choosing an LED grow light. This is when you should pay attention to the PAR rating. PAR—photosynthetic active radiation—simply means the type of light that plants utilize for photosynthesis. The wavelength range of usable light for plants is between 400 and 700 nanometers. PAR is measured with a PPF (photosynthetic photon flux) meter. PPF is how many photons per second are coming into contact with your plant. Or to put it another way, PPF measures only the intensity of the light that is usable by the plants. It counts only the number of photons that are in the set PAR range. This range can be manipulated by manufacturers to show a higher PAR value by extending the range above and below the ideal 400nm-700nm wavelengths. So always be sure to check the PAR range when comparing different grow lights. Another way PAR can be manipulated by companies is by producing cheaper lights that only emit certain wavelengths in the 400nm-700nm range. This can result in apparently high PAR numbers, but in reality poor distribution through the range. This can negatively impact your plants. If possible, try to find the graph of the distribution or description of color ratio for the grow light. PAR & lighting coverage for the HyberGrow 1500w. The HyberGrow 1500w is a full spectrum grow light. 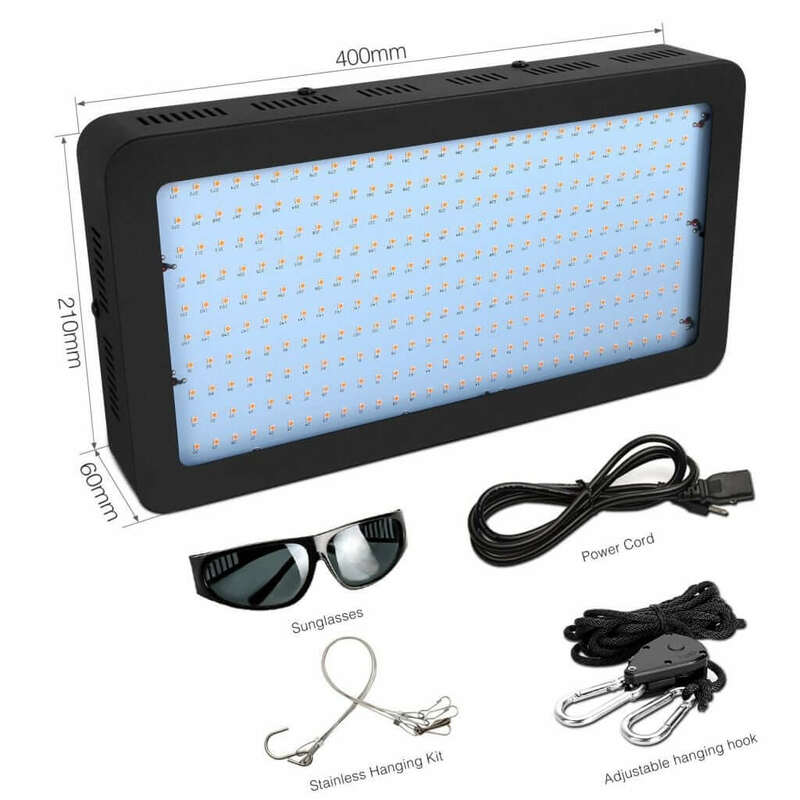 It offers high quality light with the perfect color ratio. As you can see below, its 150 Epistar 10W (5W double-chips) SMD LEDs array emits 50.4% infrared/ red light, 45.8% green light, and 3.8% blue or ultraviolet light. The infrared light aids in growth through all stages. While the ultraviolet light disinfects and kills bacteria on your marijuana plant, allowing it to grow as healthy as possible, as well as stimulating trichome growth. This light also has 2.5 times more lux than the average LED grow light. What are lumens? And do they really matter? Lumens and lux are often quoted by manufacturers, but are not ways to determine how well a light will affect the growth of your cannabis. Lumens are used to describe the brightness of light that is visible to the human eye. While lux is the measure of lumens per square meter. The human eye has the most sensitivity to light at a wavelength of 555 nm, which gives extra attention to yellow light. But this light is much less important to plants. You should not choose your grow light on the intensity of lumens. 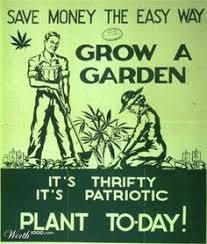 It’s PAR that matters for plants. As a way to remember this, the phrase “lumens are for humans” is popular in the indoor growing community. The efficiency of your light is a key feature in an LED grow light. And this is one of the characteristics that makes the Hybergrow a good choice. The HyberGrow 1500w helps to save energy. It produces high quality light while using a small amount of power. Utilizing the latest surface mount technology (SMD), the HyberGrow 1500w consumes only 234w with a voltage of 85-265vac. 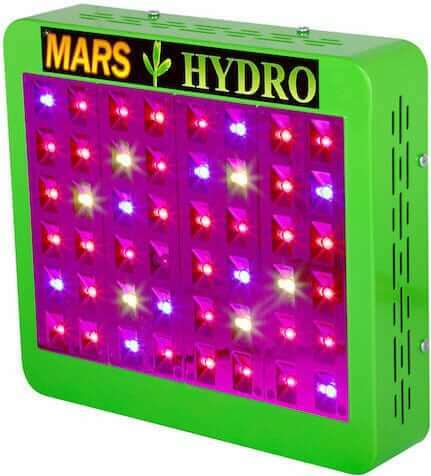 With an estimated lifespan of 50,000 hours of use, this light will last you for many harvests. Along with the light, you’ll also receive protective glasses, an adjustable rope hanger, a steel hanging hook, a power cord, and an easy to read instruction manual. The included adjustable rope hanger makes hanging your light very easy. And the hanger’s adjustability makes changing its height at each growing stage as simple as possible. Well, when using any LED grow light there’s a risk of damaging your eyes when tending to your plants. Grow lights mimic the same solar radiation the sun emits. Just as you wouldn’t look directly at the real sun, you need to protect your eyes from grow lights too. The HyberGrow 1500w LED Grow Light is great for an indoor grower looking for a high quality and powerful light to cultivate their marijuana. You can cover a grow area up to 5.5′ x 5.5‘. It’s efficient, affordable, runs cool and can provide just the right light needed for every stage of the growing process. What more could you want? Looking for a different wattage? Or something for a smaller growing space? 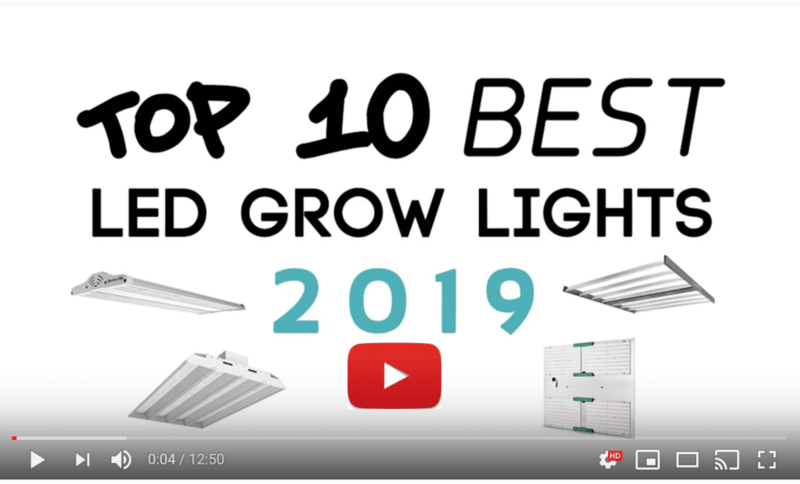 Check out more of our grow light reviews. A paid shill review. This company is a cheap china company that does NOT stand by the product. I’ve had them arrive broke, half working lights and little to no support. Go through the REAL amazon reviews. They are prone to switch and light failures. Sorry, we don’t do paid reviews. If a company wants to pay for a review, we label it as an advertisement and do our best to be objective. And yes, we do go through the Amazon reviews before writing anything about a product. Thanks for your comment. We love to hear from readers who have real experience with a light, good or bad. Especially bad. So thanks again. Step by Step: From Seed to Weed. Thanks for subscribing! Check your inbox to confirm your subscription and get your free download. As a subscriber, you'll get our (usually) weekly newsletter with new posts and the occasional relevant offer. If you prefer not to receive it, you can easily unsubscribe at any time. MaryJane Farmer on Kind K5 XL1000 LED Grow Light Review: What makes this light a High Times award winner? 420 Beginner is a participant in the Amazon Services LLC Associates Program, an affiliate advertising program designed to provide a means for sites to earn advertising fees by advertising and linking to amazon.com, amazon.co.uk, amazon.ca, endless.com, smallparts.com, myhabit.com, and any other website that may be affiliated with Amazon Service LLC Associates Program. Step by Step: From First Grow to First Harvest. GET IT TODAY!